← Start with the things you can do. Most Aussies will probably recognise the diagram above, the London Underground. 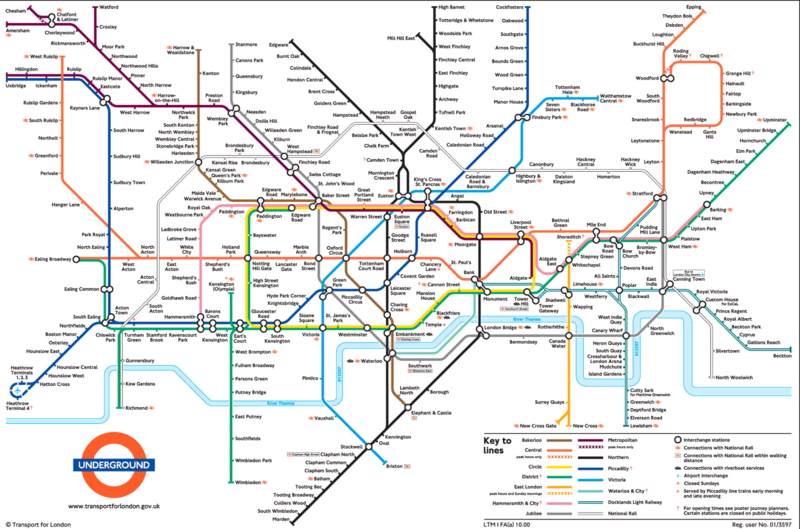 The first time anyone arrives in London, an underground map is a vital piece of paper, even in these days of mobile phone enabled GPS tools. After that, with the map, you can figure out the best way to get there ,what the route options may be, what it will cost, and how long it should take to get to the destination. Why is it that people understand this instinctively for a sojourn on the underground, but fail to do it for their business? Social Media is the shiny new toy around at the moment, everyone knows it is there, some dabble in it without a map, and get lost, have their pockets picked, and decide that from now on they will catch a taxi, if they really have to get somewhere. Other wise they will just stay in their hotel. “Social Media” used as a noun, has some similarity to the underground, in that it is complex, but navigable with a map, where it differs is that it changes, evolves, even mutates, every single day, in some meaningful way. However, if you understand the structure, where and how it all fits together, navigation can become relatively easy, relatively risk free, and open up the opportunities of a wonderful tool. This entry was posted in Customers, Marketing, Small business, Social Media, Strategy and tagged communication, Marketing, SME, Social Media, Strategy. Bookmark the permalink.